A Wilmington man who claimed he killed a cat because he was hungry was found guilty in Clinton County Municipal Court by Judge Mike Daugherty on Thursday. Randy Demmery, 37, was found guilty of animal cruelty — a 1st-degree misdemeanor — for an incident on Oct. 26, 2017, where he picked up a house cat by the head at a West Main Street, struck it, and threw it down a hallway, killing it. Demmery stated he did it because he hadn’t eaten for “a few days” and he didn’t want to get in trouble for stealing. He was sentenced to 180 days in jail. He will not be allowed to have companion animals for five years, and was fined $1,000. During the hearing, Laura Gibson, prosecuting on behalf of the state, showed footage from a security camera Demmery installed in the house himself, which shows him picking up the cat followed by a “screech” from the cat and two loud thuds off-camera. Gibson also showed body camera footage from Wilmington Police Sgt. Ron Cravens of when he was called out to the residence on Nov. 2, 2017, by Demmery. Cravens stated Demmery heard of the initial animal cruelty report and wanted to show the cat was fine. Demmery, acting as his own defense counsel, stated he did not kill the cat in a cruel manner, saying it didn’t meet the Ohio Revised Code 959.06A meaning of it. He also said it wasn’t a needless death. “I can’t think of anything of greater need than food, water or oxygen,” he said. “The ‘screech’ from the cat indicates that it was not initially unconscious and it was (killed) inappropriately,” she said. During her closing argument, she advised she could not believe Demmery was so hungry that his only option was to kill a house pet for food. “This is not an animal you can go hunt and kill,” she said. She also pointed out that Demmery tried to pass off another cat as the deceased one to authorities. “This is not the act of someone who believes they were justified in killing and eating a cat,” she said. Before sentencing, Judge Daugherty stated this is something that would not be done normally when killing for food. 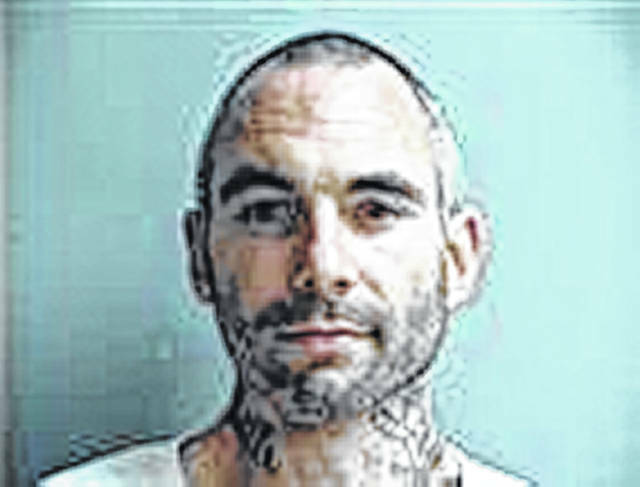 Demmery had previously been found guilty in Clinton County Municipal Court on two counts of theft in 2007 and served 360 days in jail; he has past charges of driving without consent, and marijuana possession. In Common Pleas Court, he was sentenced to five years in jail for robbery in 2007. Reach John Hamilton at 937-382-2574.